I have the cutest little Valentine Treat Cups to share with you today! They are only about 3 inches tall – just the perfect size for a sweet treat! You’ll need some of these tiny 4 ounce disposable coffee cups (I found mine here), some scrapbook paper, stamps, punches, and other embellishments. First you’ll need to make a template to cut your paper to wrap around the cups. Take one of your cups and cut out the bottom circle using a craft knife. Then cut up the seam of the cup so it will lay flat. Finally, cut off the small lip on the top indicated by the arrow. Using your template, cut a piece of patterned paper to wrap around the cup, adding about 1/4-inch to each end so it will overlap when attached to the cup. Glue the patterned paper to the cup, overlapping the edge. Use the seam on the cup as a guide on where to glue the first edge and make sure the top edge of the paper is pushed up to the lip of the cup. I used Aleene’s Tacky Glue for this step. 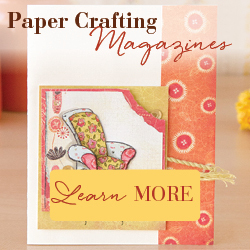 It dries quickly, but not too quickly, so you can adjust your paper if you need to. This entry was posted in Gifts, Uncategorized, Valentine. Bookmark the permalink.